The world of Apps is growing at an incredible pace. This very week we learned that the company ActiVision Blizzard had purchased King Digital, the creator of Candy Crush, for 5.3 billion euro, which is not surprising considering that Candy Crush today has around 500 million players every month. It is not the first time that we see a financial movement like this: Mark Zuckerberg purchased WhatsApp for 16 billion euro. Since we do not have savings enough to buy a successful app like this yet, we will show you some steps to reach a good apps optimization in markets. 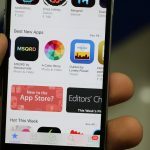 ASO (App Store Optimization) is the process of optimizing a mobile app with the goal of improving the positioning in the rankings of the apps stores when a user makes a search, and therefore reach higher presence and a greater number of downloads. Today Google Play Store hosts more than 1.5 million apps, whereas the App Store has around 4 million apps, so it is crucial to optimise our mobile app to be beyond the competition. How to do that? App Name: It is the name of the app, and we must include the keywords we want to rank. Description: It is one of the most important aspects of ASO. We must also include those keywords we want to rank and show a message that catches the user. Icon: A relevant item to catch the user’s attention. It is the first picture he or she will see. Keywords: In both Apple Store and Windows Marketplace there is a specific field for keywords. 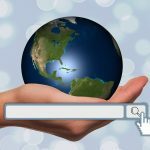 We will include the relevant ones for the searches that our users make. Google Play does not have this field. Video: Promoting apps via videos is an added value we should take advantage of. Screenshots: Screenshots are very important for optimization. They help get the attention of our users. Developer name: We have to make use of every resource where we can include relevant keywords, like this field. It also takes into account the developer’s seniority. Category: It is very important to choose carefully under which category the app will appear-in some cases only one category will be available, and it has to be the right one. Downloads: One of the most important aspects for the ranking of apps is the volume of downloads. The higher the volume, the better the ranking. It is important to get as many downloads as possible on the first days after the launch. Uninstalling: Something that can penalise the ranking is a high volume of uninstallings. This will be interpreted as a bad-quyality app and will therefore put down our ranking. Ratings and comments: If our product or service enjoys a good reputation this will improve the conversion ratio and will give our app higher reliability and confidence. Landing app: To increase the visibility of our app it is important to create a specific page with links to the different app stores. 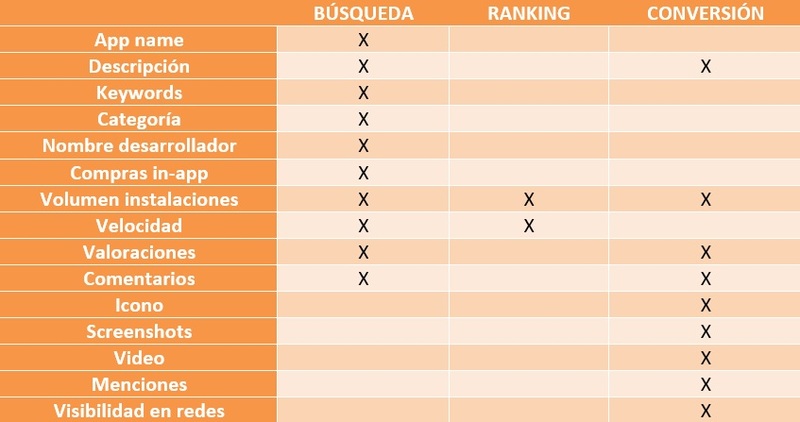 Sensor Tower: To analyse the ranking of the keywords that you are competing with for your app. APP Snippet Preview: This tool is for previewing your configurations and making simulations of apps datasheet before you launch them. Tune: One of the best tools to control the ranking of your apps. It tracks keywords, competition analysis, etc. App Annie: A popular tool for apps analytics. Follow these recommendations and your app will get a higher ranking in markets. To learn all the secrets for indexing Google apps read the following steps for configuring app indexing on Android.